Click the image to download the first chapter for free! This is not a book of spells, rather it is a book of my reflective writing, drawn from the past fifteen years. But what is reflective writing? And why make a book of it? Reflective writing – for me, at any rate – is the prelude to most of my magical work. Whenever I have to think about a spell, what it means, and why (or even if) it’s needed, I will often spend time writing down my thoughts. These then need to be distilled into a handful of words or a single sentence if I intend to cast a spell. It can be quite a long journey towards that single sentence, however, and on the way I spend time with my thoughts and reflections. Most of these I write down at some point, so I suppose I could say that reflective writing, my ‘inspirations’ are a by-product of magic, but not the actual spells I eventually cast. However it is – I hope – a pleasant by-product, and I hope the thoughts help inspire you just as they have in the past inspired me. 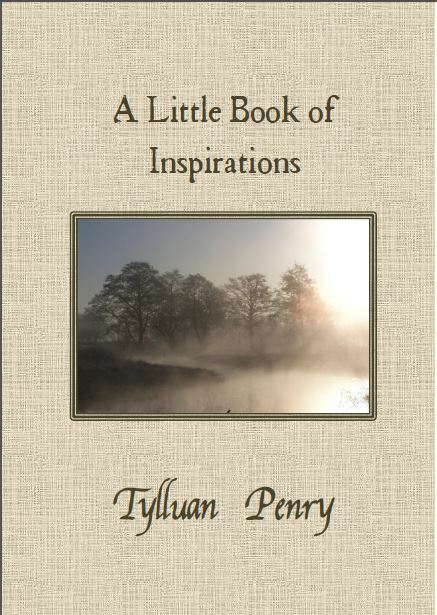 A Little Book of Inspirations costs just £2.50 plus postage (Recorded first class delivery in the UK is £2.75, ordinary first class post is just £0.60). If you are outside the areas in the drop down menu by the paypal button, then please just ask us for a quote on postage. If you have any problems with placing your order, please just email us on info@thewolfenhowlepress.com and we will be able to sort it out for you!